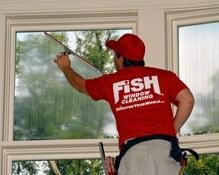 there are two Fish Window Cleaning locations ready to serve you! 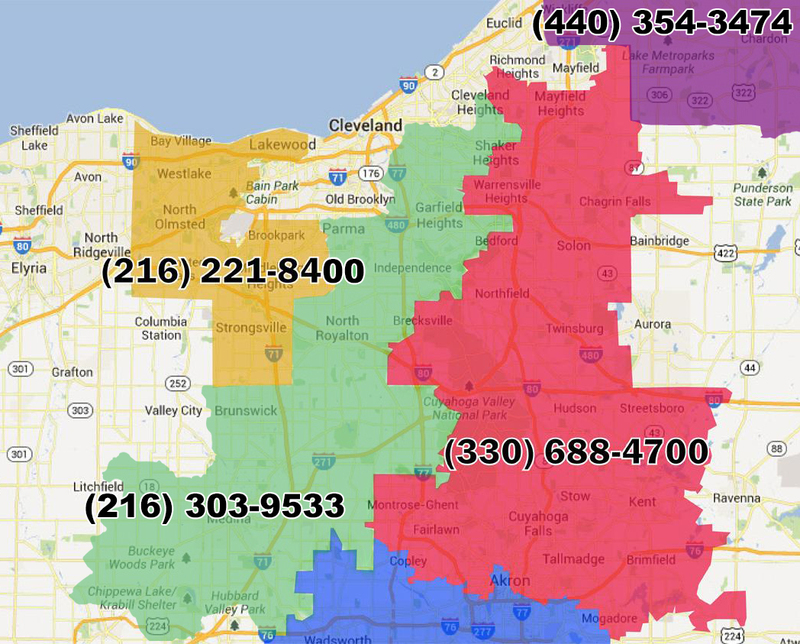 If your home or business is not within these highlighted territories, please call (216) 221-8400. Wouldn't it be nice to never have to worry about whether or not your windows are clean ever again? We can take that worry away by making sure your windows are always sparkling! We can clean all of your windows - inside and out - up to three stories. With our maintenance programs, you'll never have to drag out the ladder to wipe the streaks off those upstairs windows ever again! Window cleaning can be time consuming and even dangerous so let our friendly team of professionals take care of the hard work for you! We also offer gutter cleaning, chandelier cleaning, ceiling fan cleaning, and other services. The best thing about our cleaning and maintenance programs is that they are completely customizable. It doesn't matter what your budget is, or how many windows you need cleaned, or what your schedule is. We can create a program that works for you! We clean storefronts, office buildings, showrooms, restaurants, churches, malls, and many other commercial buildings. No job is too big or too small for us. Our professional team would be happy to suggest a program that would work best for your specific needs. We also provide construction clean-up, pressure washing, chandelier cleaning, and other services. When you choose us, you know we are committed to your satisfaction.